You know the deal, some nights a guy wants to blend in and be able to sit back and observe the scene, and some nights...he’s on the prowl for attention. We can’t help you too much with that whole wallflower bit, but we think a rebel like you may be interested in our ensemble most worthy of fanfare. Because lately, you have been feeling pretty done with boring formal wear, right? 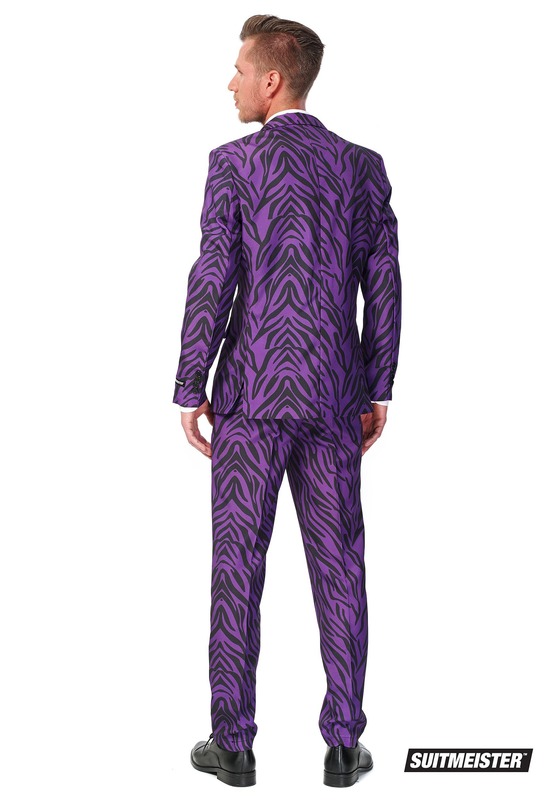 Then behold this Men’s SuitMeister Basic Pimp Tiger Suit--it can set you up to be crowned king of your urban jungle. 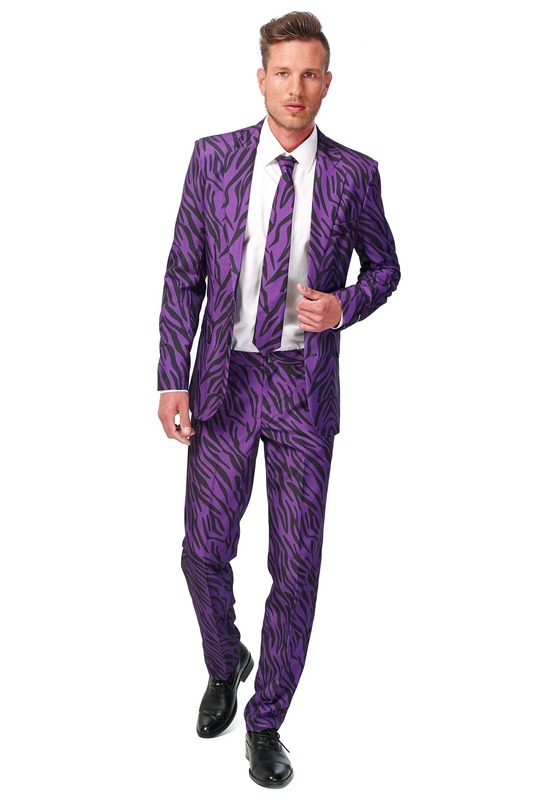 Because what says ‘I'm breaking free from the mold’ like purple tiger stripes? Nothing, that’s what! This striking suit from the SuitMeister Basic line is perfect for a budget-friendly upgrade to your suit game...and a hip cat like you knows that your suit game sets the stage for your life game. You dig? So slip on this slim-fitting jacket and pants and go ahead and growl at your reflection in the mirror. It’s OK--this look has been known to bring out the wild side in its wearers. It has a (non-clip-on) matching tie so you can show off your best windsor knot and the next party you attend. You can also use this suit for the basis to a pimp or a Joker costume this Halloween, but if it sneaks into your everyday wardrobe, we won't be surprised. It's that cool--and so are you! Go get ‘em, tiger!